In today’s society, students of all ages often say that they “hate math”. One reason for this is the repetitive and boring memorizing of math facts, such as 1+1=2 or 2x2=4. Does memorizing math facts benefit students? 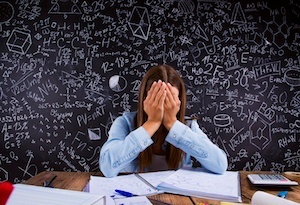 Is memorizing math facts too stressful, too difficult, or too boring for some students? Math education experts continue to stress the need for math to be relatable, concrete, and interactive. Children need to know why they are learning math, and they need to understand what the “math facts” actually mean. Kids need to understand what 2+2 symbolizes. They need to understand the difference between 2+2 and 2x2. I have decided to put together a list of ways that parents and educators can help children learn basic arithmetic facts. I have also put together a list of resources for parents helping their child learn math. Memorization alone is often not the answer. Instead, parents should help children visualize and understand what they are computing. -Teach young children to look at patterns in everyday situations. For example, if a child is looking at a bracelet with patterned beads, point out the pattern. -Sing songs and make up rhymes that involve numbers and basic adding/subtracting. -When you go grocery shopping with your child, ask the child to count up how many items your need. -Talk to your child about how you use math in your own job/career. -Incorporate numbers into every day activities, such as having your child cook with you (using measuring cups). -Never say that you “hated math” as a child or “were never good at math”. This will only discourage the child and give him/her a negative outlook on math. -Read books that have numbers/math in them. -Do math with your child for fun, not just when it is homework. 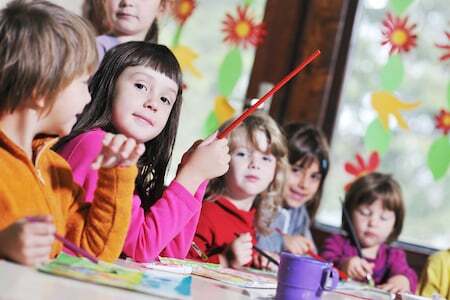 -Play math games with your child. Games like dominoes and playing cards are great for learning numbers! Just remember that rote memorizing of math facts can give a child a negative, stressful outlook on math, especially if they do not get it right away. The best advice I can give is to remember that math should be fun! If a child feels successful, they will have fun! Making a child feel like a genius is the number one way to boost self-confidence, especially when it comes to math!